I've spent some time reading books about helicopters to research a project I'm working on. This is a list of the books I thought were the best. Chickenhawk. This book is considered a must-read for all helicopter pilots. It's written by Robert Mason, who was a helicopter pilot in the Vietnam war, which was the first conflict that really used helicopters. Yes, helicopters were used in both the Second World War and in the Korean War, but in the Vietnam war, US realized that they could transport battalions of soldiers across the battlefield to surprise the enemy. The book includes a lot of information on how to operate a helicopter in a war zone, but it's not a technical manual, so if you are not interested in helicopter technology you will also enjoy reading it. 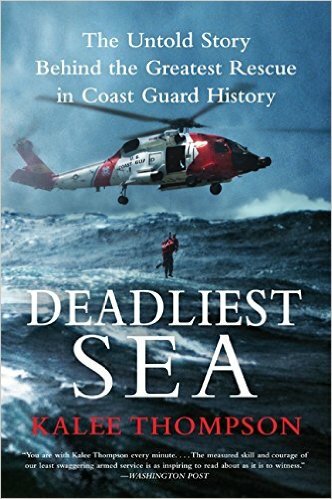 Deadliest Sea - The Untold Story Behind the Greatest Rescue in Coast Guard History. This books tells the story of a sinking fishing ship in the middle of an Alaskan cold sea and how the US Coast Guard did its best to rescue the fishers. While the book Chickenhawk told the story of how helicopters operate in a war zone, this book will tell the story of how helicopters operate from a coast guard perspective: what equipment does a coast guard helicopter carry, how does the rescue swimmer operate, how can a helicopter refuel at sea, and much more? Helicopter flying handbook. 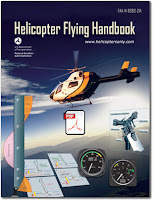 Is a free book written by the US Department of Transportation and is a handbook written mainly for students who want to become helicopter pilots. While Chickenhawk and Deadliest Sea will give you some technical details, this book will tell you all about aerodynamics, flight controls, systems, performance, flight maneuvers, emergencies, how to operate a helicopter in different weather conditions, and so on. If you still want to read more about helicopters, you can also read We Were Soldiers Once...and Young: Ia Drang - The Battle That Changed the War in Vietnam, which tells the story of a battle in Vietnam famous from the movie with the same name. Robert Mason, who wrote Chickenhawk, participated in the same battle, so some of it is repetition if you read that book. Neither is the book focused on helicopters, but there are some helicopter facts in it. Another book you can read is Black Hawk Down: A Story of Modern War, which is another book famous from a movie. It will tell you the story of what happens when a helicopter is shot down in the middle of a conflict. 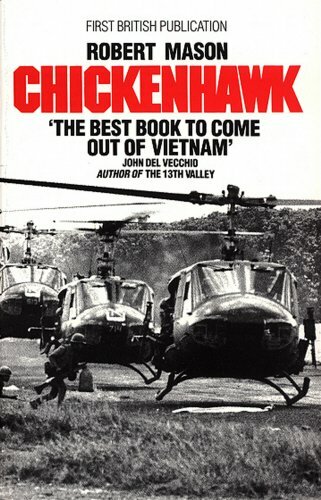 While many helicopters were shot down in the book Chickenhawk, the Black Hawk Down battle took place in Somalia in the 1990s.